群体遗传学家克洛在一篇书评里对此书褒奖有加，也指出了一些疵瑕。克洛评论说：“随着动植物育种学生以及人类遗传工作者对群体遗传学的兴趣逐渐增长，这方面的入门教程非常紧缺。李教授这本极好的书满足了这方面的需要，同时由于内容足够详细，亦可作为一本参考资料。该书第一次以书的形式搜集了费希尔（R. A. Fisher）、霍尔丹（J. B. S. Haldane）、赖特（S.Wright）等学者多得令人惊讶的大量工作，且均以清晰简单的方法来阐述。”. 1. Hui, L. and W. Jue, Backlash disrupts China exchanges. Science, 1997. 278(5337): p.:376-7. 2. Guo, S.W., C.J. Zheng, and C.C. Li, "Gene war of the century"? Science, 1997. 278(5344): p. 1693-4. 3. uo, S.W., C.J. Zheng, and C.C. Li, Dilemma over genetics and population inChina. Nature, 1998. 394(6691): p. 313-4. 4. Spiess, E.B., Ching Chun Li, courageous scholar of population genetics, human genetics, and biostatistics: a living history essay. Am J Med Genet, 1983. 16(4): p. 603-30. 5. Steele, B., Pitt geneticist C.C. Li defied colleagues, the Chinese government before fleeing to the West., in University Times, Univeristy of Pittsburgh. 1998: Pittsburgh. p. 3-4. 6. Li, C.C., An Introduction to Population Genetics. 1948, Peking: NationalPeking University. 7. Li, C.C., To the memory of the fallen Nikolai Ivanovich Vavilov. J Hered, 1987. 76: p. 343. 8. Li, C.C., Book Review: Lysenkoism in China. Journal of Heredity, 1987. 78: p. 339-40. 9. Crow, J., Book Review: An Introduction to Population Genetics. Am J Hum Genet, 1950. 1(3): p. 279-80. 10. Chakravarti, A., 1998 ASHG Award for Excellence in Education. Professor Ching Chun Li, courageous scholar and educator. Am J Hum Genet, 1999. 64(1): p. 14-5. 11. 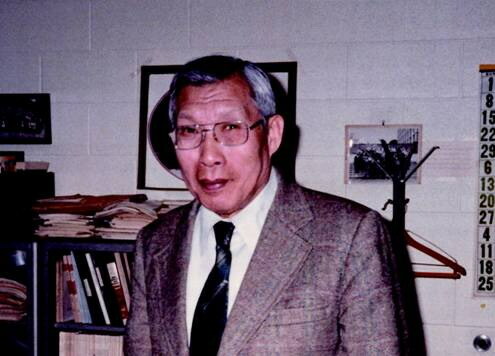 Chakravarti, A., Ching CHun Li (1912-2003): A personal remembrance of a hero of genetics. . Am J Hum Genet, 2004. 74: p. 789-792. 12. Majumder, P.P., C. C. Li (1912-2003): his science and his spirit. J Genet, 2004. 83(1): p. 101-5. 13. Spiess, E.B., Remembrance of Ching Chun Li, 1912-2003. Genetics, 2005. 169(1): p. 9-11. 14. Chen, T. and J. Tai, A conversation with C. C. Li. . Statist Sci, 1998. 13: p. 378-387. 15. 叶笃庄, 一代遗传宗师李景均何故去国.炎黄春秋, 1997. 7: p. 35-41. 16. 笑蜀. 遗传学与双百方针（上，下）. [cited; www.tecn.cn/data/detail.php?id=7684]. 17. 辛北. 我国农业科学中的权力学术灾难. [cited; www.agri-history.net/reading/xinbei.htm].